I had an old Creative SB 2.1 speaker set lying around. I occassionally used it to play movies from PC even though I could use the LCD TV's speakers. At times the 2.1 gave better bass output so was very reluctant to dump it. With the new TV, there was one more addition - movies on weekend! 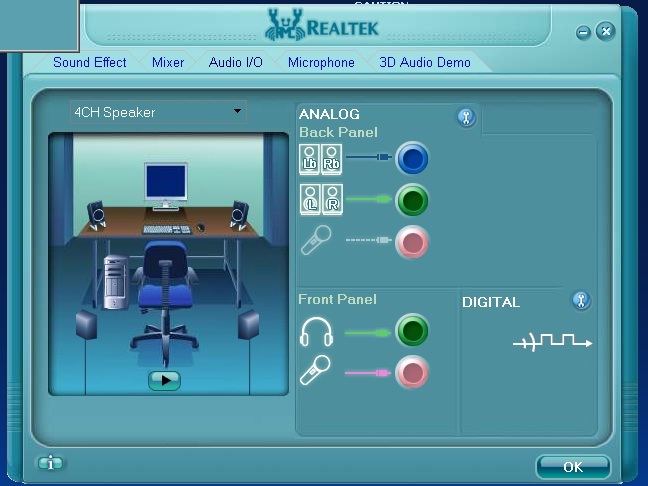 Many came with multichannel audio like Dolby and I always wondered how it sounds. Just recently I had an idea and today its implemented. 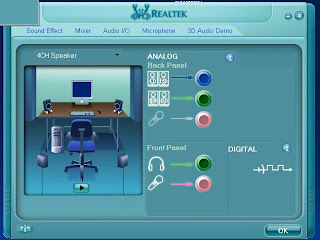 The PC supported 4CH output using built in Realtek HD audio chipset. With this I was good to go. I connected the TV speakers as front L+R channels using straight stereo cable. Then I got an male-female stereo extension cable and connected 2.1 set as Rear L+R. The Realtek driver needed to explicitely put the output into 4CH mode and voilla! A simple 4 channel home theatre setup is available!! Tested the playback using VLC and it sounds better than before!! !